Last month saw the completion of a children’s outdoor playground at Micha. a school for deaf children in Tiberius. Micha Tiberius provides treatment, education and rehabilitation for hearing impaired infants and young children with the single mission of fully integrating them into society by the time they have reached primary school age. “On visiting the centre, and meeting several of the infants we realised the need for renovating the outdoor space. The area was unsafe for the children to play and in 100 degrees of heat with no shelter was totally unacceptable. 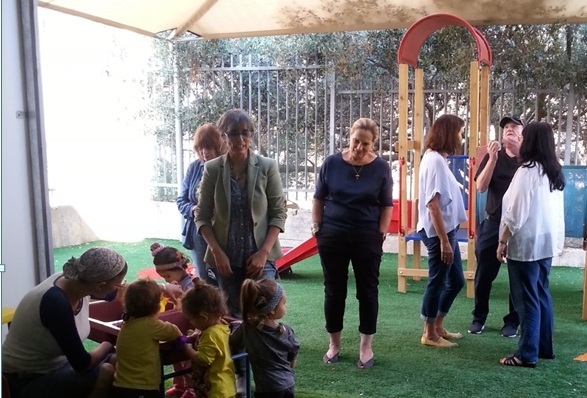 The transformation has been unbelievable and we are delighted that the young children can now play outdoors in a safe environment” said Melanie Klass, Executive Director.